O .H. 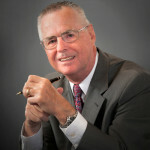 “Harry” Daniels, Jr. is a Certified Public Accountant practicing in Ocala, Florida. He has been a partner in Duggan, Joiner & Company since 1983 and currently serves as President of the Firm. Harry was licensed as a CPA by the State of Florida in 1978. He is a graduate of the University of Florida with a degree in Business Administration with a major in Accounting. In addition, he is a Certified Financial Planner and Certified Valuation Analyst. His hobbies include flying, scuba diving and model railroading. Harry enjoys working with clients in a variety of businesses and also helping them with their personal accounting and financial planning needs. He has a special interest in retirement planning, retirement distributions and estate work. A large number of his clients are in the Agricultural and Aviation areas. In fact, he has published numerous articles over the years in Aviation Magazines and continues to write and publish articles regularly.